CROATIAN specialists Beyond Travel have one of the largest collections of new small ship cruise vessels available in the Australian market for voyages through the Adriatic and Aegean Seas and are currently offering a $600 discount per person on last minute May departures aboard the newly built MS Princess Aloha. Departing on May 11 or May 18, the eight-night cruise from Dubrovnik to Zadar or vice versa has been reduced to $1195 per person twin share. It includes seven nights' accommodation in a sea view cabin with daily breakfast and lunch (dinner is at leisure ashore), some sightseeing, return transfers and port charges and tourist tax. Other recently built ships include the MS Pearl and the MS President, both with only 18 cabins creating an intimate atmosphere on board with air conditioned cabins all having private facilities. There is a large dining salon with a bar, outdoor lounge areas and sun decks. 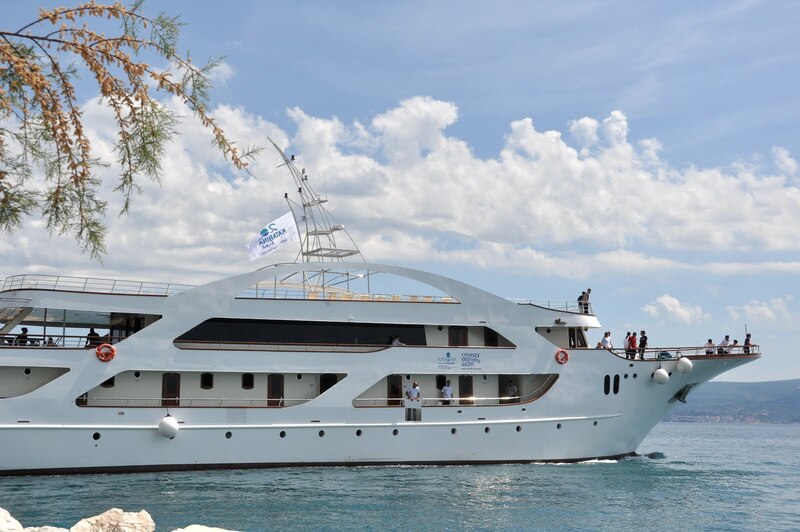 These new vessels offer great value all year round with eight-day cruises aboard the Adriatic Pearl starting from $1080 per person twin share visiting a variety of Dalmatian ports such as Split, Korcula and Hvar. There are more than 15 pages of small ship cruise options in Beyond Travel's latest Croatia & Beyond brochure, for further details email info@beyondtravel.com.au or call 1300-363-554.